The DirectXchange was really designed with us in mind. There’s not many opportunities to throw an X in the middle of a name, but we’ve had that going on for quite some time now. Admittedly we never used the capital X, but that’s really just a design thing. The theme of Marketing to the Minds of Catalog and eTail Shoppers is exactly where we fit into the blending of your catalog with your eCommerce experience. Finding the right balance is critical as there are shoppers that are very familiar with the catalog. Usage analytics will tell you that some of them truly enjoy browsing through the online catalog and ordering what they see presented on the page. There are still several things that the catalog does particularly well. Kohler puts it very simply in their new bathroom catalog, Kohler ECO Bathrooms. Painting a picture for the user of what the product can potentially look like can inspire them to make the purchase. Moving quickly through the pages, the user has a wide selection of image scenes presented in a way that marketing and graphics still to better than anyone else. Catalogs also help solidify your brand. The print catalog delivered in the mail may not have the same impact of the Sears Christmas catalogs from days gone by. However when MacKenzie Childs incorporates their catalog into the overall brand mission, the online version of that catalog becomes an instantly recognizable asset that users are willing to shop. Lastly the catalog is an essential reminder that you are still there and offers a compelling reason to purchase from your store. Catalogs and flyers can be used as a weekly, monthly, or quarterly reminder that the user should go back to your store be it online or brick and mortar. Spurring the user to an action is one of the more powerful reasons to get the catalog into their hands in both print and online. 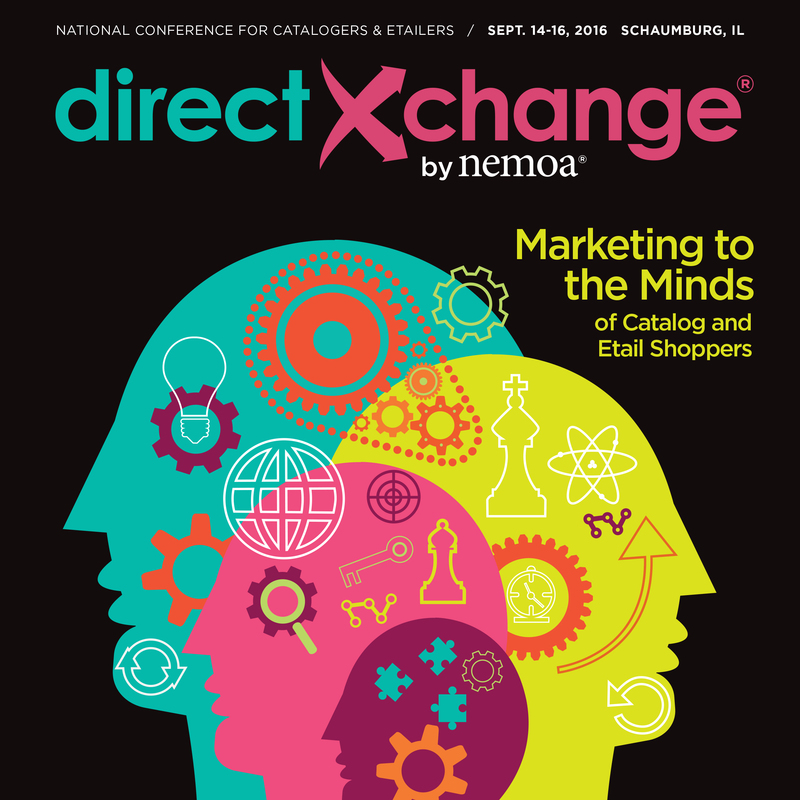 The appealing part of the DirectXchange is that it’s an opportunity to share your experience with others, while learning new ideas about what is working for colleagues in your industry. Additionally the networking events that allow you to connect with both contemporaries and suppliers are critical to building long term relationships that are mutually beneficial. We’re excited to meet(and maybe share a drink?) with our business partners in attendance as well as meet new movers and shakers in the retail and catalog marketing space. Your Clean Catalog Solution for the Lab. As a sales rep, imagine walking through the halls of a laboratory, beakers and microscopes are abundant and every person you encounter is wearing masks, gloves, and protective gear from head to toe. Sounds like something out of a movie, right? Well, this is the everyday environment for a Lab Equipment Sales team and it’s not easy. With tablet in hand, you’re ready to discuss new products and create an order list. But first to accommodate the sterilization needed for lab surroundings you need to take out sanitizer to clean your hands and wipe off the tablet. Lab experts know that you see many different types of businesses so when they see you taking extra steps to adapt to their unique work space, it will convey a level of professionalism and understanding of their needs. Aside from creating a knowledgeable and professional appearance, the digital catalogs and bookshelf will make the entire sales experience a breeze for you and your customers. Sales teams have enough to worry about; knowing all the details of each individual product, how it works, how to demonstrate it and being up to speed with all the terminology associated with their industry, worrying about where they can find the most current print collateral, finding the physical catalog, or a particular item within the catalog. Having a bookshelf with easy navigation and quick reference points eliminates that stress and helps to reduce everyday problems in the field. Why lug around large physical catalogs or scroll through a library of pdf’s when you can use the online catalog bookshelf search and find everything at the touch of a screen? Having a central location, right on your iPad or laptop, to access marketing material or product information will give you the power to quickly search and answer any questions your customers might have. Digital catalogs with a bookshelf will help you always look prepared and informed so you can focus your time on demonstrating great products! Contact us to schedule an overview of features you won’t find anywhere else. “In 1960 New York City – the high-powered and glamorous “Golden Age” of advertising – Don Draper, the biggest ad man in the business, struggles to stay a step ahead of the rapidly changing times and the young executives nipping at his heels.” (http://imdb.to/1Paqu9j) Meanwhile masses of sales and marketing teams were creating 3 ring binders like mad men. Piecing together all those catalogs and collateral sections together manually and adding urgent updated pages when needed. In 1996, Nintendo 64 was released harboring some of the most influential games ever available; Super Mario 64 and The Legend of Zelda. All while N64 was being sold in masses, some daring marketing teams moved on to file sharing the collateral on a ‘hard to find’ local drive. Then came PowerPoint, which really didn’t come on strong until 2002. In 2002 the animation engine in PowerPoint was massively overhauled, allowing users to create advanced and custom animations. It was a great upgrade but training was needed. The files were still too large to email and there is no interactivity available. Online file sharing through companies such as DropBox™ was the next big thing to hit, it’s great for sharing files but anyone with access to the folder can delete or move files at anytime. It’s also not going to be your go to for presenting high quality publications and content to your customers. From sales binders to online file sharing, these widely used options lack in key areas, especially transactional sales, searching capabilities, and responsive online/offline use. No one wants to have all these options spread out randomly, it gets confusing and cumbersome for the user. Combining all your needs into one solution packed with powerful tools will arm your sales team to smoothly overcome these obstacles. We create the online catalogs designed to increase engagement between customers and sales. By using an order form or integrating with your existing eCommerce site, the barriers to purchase are significantly reduced. Save the cost of big clunky binders that sales reps dread to carry around. We’ve conquered searching multiple catalogs, ordering, presenting and combining all your valuable print within one interface. Our friendly sales team is available to answer any questions and show you the features of an online catalog. Let’s connect. In the first four months of the Lane Style digital look book by Lane Bryant, the average number of pages per session grew by over 400%. This solidified the belief that their shoppers wanted more than one way to shop online. Check out their customer showcase, here. The steady increase and user adoption was a result of offering consumers choices and convenience. You may call it a catalog, circular, or look book, with each one representing something slightly different. In some ways they are all similar, each containing clothing and accessories you want to feature and the represent hours of creative layout. For their outdoor action catalogs, Moosejaw likes to keep shopping and marketing fun and they take pride in being the most fun outdoor retailer on the planet! They came to us in 2009 for their digital catalog solution that would fit with their overall Madness. We love it! Bella+Canvas is all about quality tees and team apparel! They didn’t want to take any shortcuts for their digital catalog shoppers. Both branded catalog lines feature elements which provide the best experience for a digital catalog shopper. Reviewing the catalog usage and events, allows them to make any adjustments needed to increase the catalogs engagement with users. Retailers know they have to be across all the channels where potential consumers are looking. Being seamless and saying ‘take your pick we’ll be there’ can increase reach and may lead to higher shopping cart value. As a full service online publication provider, we’re here to help with every step of the process, from how to upload your PDF’s all the way to marketing best practices for your new online publication.